Hi Amy. Thanks so much for joining us. 1. 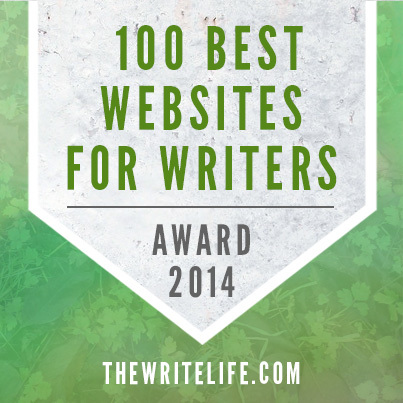 Tel l us a little about yourself and how you became a writer. I’m a huge animal lover who also loves the creative arts, laughing, and chocolate. I’m originally from upstate New York (close to the setting of THE LIPSTICK LAWS), but I currently reside in the Philadelphia area with my verbally challenged sidekicks (pets). I've always loved to write from the time I can remember, however I didn't decide to pursue it professionally until after working in a different field following college. I soon realized that I wanted a career that wouldn't feel like work because I love it so much. Although writing can be hard work at times, I adore every second of it and am thankful to be able call myself a writer. 2. How cool that you're getting to do what you love. You did a brilliant job of weaving your theme of The Lipstick Laws into your plot. I’m not kidding everyone, it’s perfectly tied in. How did you think of these laws and plot them into your story? Thank you very much! I came up with the Lipstick Laws within the story by brainstorming every ridiculously shallow thing I could think of regarding superficial popularity climbing. I narrowed my list down to seven categories to create the laws that the girls follow. I should add that I would never be able to follow any of the laws I thought up...I'd be a Lipstick Lawbreaker in 2.5 seconds if so! 3. Did you always know that The Lipstick Laws was your title? And who came up with the pitch on your bookmarks—some laws are better off broken? They both fit your story so well. I actually started off with a different working title because the whole plot wasn't fully formed as I began writing the story. The first part of the story that came to me was April's voice (the narrator and main character) and her many quirks. One of those quirks is her addiction to bra-stuffing... so my original working title was Confessions of a Bra-Stuffer. As I continued to write, brainstorm, and put April into what-if scenarios, the whole plot began to evolve more... and the actual "Lipstick Laws" came to life. I immediately changed the title at that point, as I knew the Lipstick Laws were going to be a main focus of the story. As for the pitch on the bookmarks...*raises hand and points to self* I came up with that as well...mainly because I don't think anyone should ever follow these laws. They are definitely better off broken! Unless, of course, your dream is to become a superficial robot. In that case, these laws may come in handy. 4. I'm glad you switched the title because it's so perfect for your story. April’s problems—having no friends and getting the chance to be popular but at a cost—are issues many teens can relate to. I read that one of your struggles was creating April as a likeable person but realistically one who could make bad choices to be friends with Britney. How did you balance those two parts of her and what did you learn from that struggle? Balancing April's likability and flaws was definitely the trickiest part of writing this book. It's something that my editor (Julia Richardson) and I focused on through the beginning stages of the editorial process. I knew April had to have some personality flaws in order to be susceptible to following Britney. However, I had to make her likable enough to entice the reader to root for her. Thankfully, my editor was very helpful in pointing out the areas of the story that she felt I needed to tone down April's flaws and unfavorable behavior, or boost up her compassion and other likable qualities. This was very helpful, and it made me really appreciate her unbiased editorial eye. In turn, that was one thing I learned through the process: trust my editor and know that she has the best interest of me, my characters and the story in mind. 5. That's great advice to listen to your editor's advice. Okay, I read in a blog interview about your amazing road to publication and getting your agent Sarah Davies. Please tell us about it. It’s such a wonderful story. Thank you! I'm still so grateful and a little shocked about how everything has fallen into place for me. My publishing route was a bit unconventional compared to many other published writers. I found my agent after already getting a publishing deal. Upon finishing the manuscript draft of THE LIPSTICK LAWS, I planned to query agents...but decided to delay the querying process to submit directly to Houghton Mifflin Harcourt after making a networking connection who was able to get my manuscript out of the slush pile. I crossed my fingers but didn't hold my breath because I never imagined anything would come from the submission. I was ecstatic several weeks later when I found out that HMH wanted to publish my book! Things moved so quickly after this, I didn't have time to query agents so I hired a literary attorney to help me with my book contract instead. It wasn't until I received adaptation interest from a Hollywood producer a couple months before my publication date that I decided to query agents. I knew at this point that I was out of my league to be flying solo, and I needed to find an agent who knows the publishing business and could help guide my career. 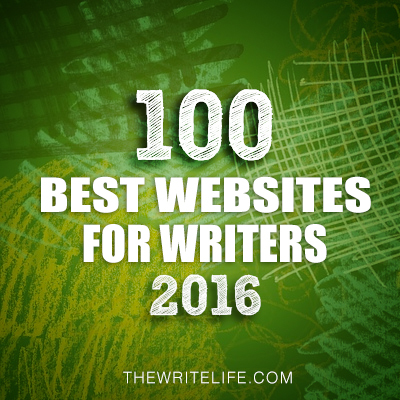 I researched angents extensively and was very impressed with Sarah Davies of Greenhouse Literary Agency. 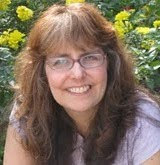 She’s been working in the publishing field for 20+ years, she has fabulous international connections, her clients speak very highly of her, and she’s a great person with a fantastic sense of humor (which is very important to me). I was thrilled to accept representation from her and my film agent Jerry Kalajian (whom she introduced me to). 6. Guys, isn't that an amazing story to publication? And wait, there's more. Tell us how your book came to be optioned for TV and what’s happening with that now? What role will you play if it gets developed into a TV series? Several months before my book was published, I received an inquiry of interest through my publisher from a successful producer (Teri Weinberg). I had retained my film/TV rights when negotiating my book deal, so my publisher put me in direct touch with her assistant. I found out that Teri had come across my book info online and was interested in reviewing an advance copy. I sent an ARC to her immediately, trying to refrain from completely freaking out. Naturally, I was pretty excited about the possibility, but again, I didn't hold my breath for anything to happen from it. About a month before my book was released, she emailed me saying that she'd like to option my rights. I was beyond thrilled... especially because I'm a big fan of Teri's work (she's the exec producer of The Office, Ugly Betty, and The Tudors)! There are many steps that would have to happen before a TV series based on my book would be produced, and many books that are optioned never make it that far. It's a long process with a lot of different variables. At this point, a pitch package is being put together to be able to pitch a possible series idea to networks. If (fingers crossed) it does get picked up by a network and make it to the production stage, I'm not sure how involved I'd be in the whole process or what role I'd play. Some producers like authors to be more involved than others. Either way, I'll just be extremely excited regardless of my level of involvement. 7. In preparing for your interview in mid-June, I searched for other interviews. You did over 15 since March. How were those set up and how effective were they as marketing tools? Are there any other successful marketing tools that you’d recommend? Wow! 15? I think I lost count after five. I never realized just how large, friendly, interested and supportive the book blogging community is until I secured my book deal and started a blog of my own. Since then, I've been lucky to make connections with a bunch of awesome book bloggers and other writers. Many of my interviews were set up through those connections, and others have been initiated through people asking me out of the blue. I think interviews are a wonderful way to reach a broad audience whom I may not have had the opportunity to talk to otherwise. The one drawback from doing so many interviews is that it takes away from creative writing time. I think a healthy balance is needed if a writer wants to stay sane...and write more books. Other than creating marketing materials, having an online presence, doing in-person events, and accumulating a fan base by writing more books, I also think joining writing groups is a wonderful marketing (and networking) tool that I'd wholly recommend to any writer. Not only is it important for writers to have confidants who understand their trials and tribulations, having a set of writing friends to help get the word out about your book(s) helps increase marketability. 8. Yeah, balancing marketing and writing is hard. What are you working on now? 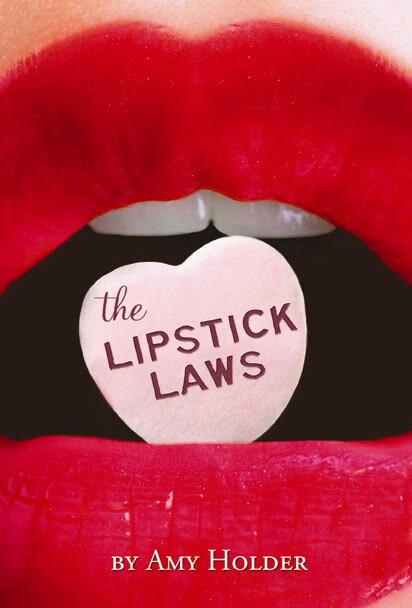 I've been working on another humorous YA manuscript...and I've also been brainstorming a sequel to THE LIPSTICK LAWS, so hopefully both will be published at some point. Good luck Amy. You can find Amy at her website and her blog. Thank you so much for your wonderful interview, Natalie! 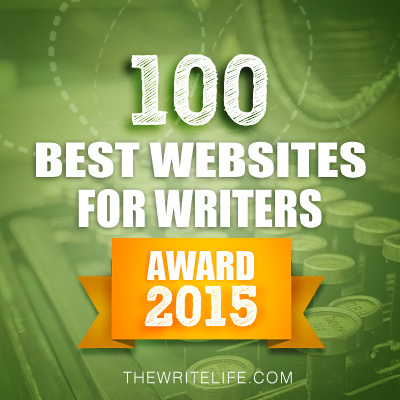 Good luck with your blog and writing! I’m giving away one SIGNED copy of THE LIPSTICK LAWS. To enter the contest, all you need to do is be a follower (just click the follow button if you’re not a follower) and leave a comment by midnight on July 30th. I’ll announce the winner on August 1st. On Wednesday, we have a special treat for you. 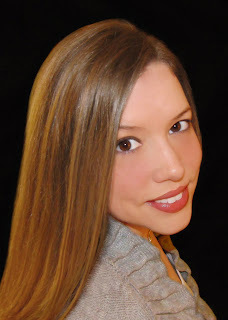 Stasia Ward Kehoe, whose debut book AUDITION will be released on October 13, 2011, is doing a guest post on how to get out of the trap of not submitting. I already read her post and I know you'll love it.Next Monday I'll be interviewing Stephanie Burgess and giving away a copy of her book, KAT INCORRIBIBLE. Wow, interesting story! Thanks for sharing, Amy...and for doing this interview, Natalie. Loved this post girlfriends! Keep up the great work. I would *love* to win a copy of this book! Sounds like such a fun book! Thanks for the copy of NIGHTSHADE! Also, a huge thank you, Natalie, for a very insightful and complete interview. Amy, what an interesting road to publication! Thanksx Amy for sharing your very inspiring road to publication. Yeah, I like the title Lipstick Laws much better. I'm glad to hear it might get turned into a tv series. LOVED your journey to publication and getting an agent...wishing you continued great success! This book sounds cool. I'd have loved to know what exactly she worked as before starting her writing career, though. Thank you so much for interviewing me on Literary Rambles, Natalie! And thanks to everyone for taking the time to read and comment on my interview! leeron94 - To answer your question, my educational background is in psychology & I was a director of a social service agency before getting published. Thanks so much for the wonderful interview!! This is a great interview. Thank you for sharing the story of your road to publication. It's good to know that sometimes, things don't always follow a formula. Great story, and I can't wait to read! Great interview. You ask really interesting questions, Natalie.Thanks! Yay! Awesome job and thanks for the giveaway! This book sounds so interesting. I would love an opportunity at getting my hands on it. Thank you. I also really enjoyed your interview with Amy. yay, i've been wanting this one! thanks! Great interview. Interesting about the title change. I recently won this book, and can't wait to read it! Wow. What a cool story! 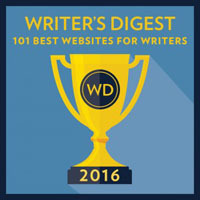 So it IS possible to get the interest of an editor before getting an agent. I'm surprised it only took a few weeks for the editor to contact Amy. 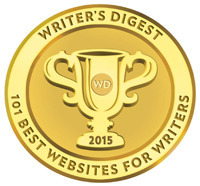 There's horror stories about editors taking over a year to read the mss of unagented writers. Love the book cover! Good luck with the TV series and other projects! How awesome! Best of luck. Great interview! The book sounds awesome! "Unless, of course, your dream is to become a superficial robot. In that case, these laws may come in handy." I'd love to see this turned into a TV series. Crossing my fingers for you! I've been trying to get my hands on this one for a long time. I really enjoyed this interview; now I'm looking forward to reading Amy's book. Wow, great story about getting published! Yay, Amy! I'd love to win a copy.